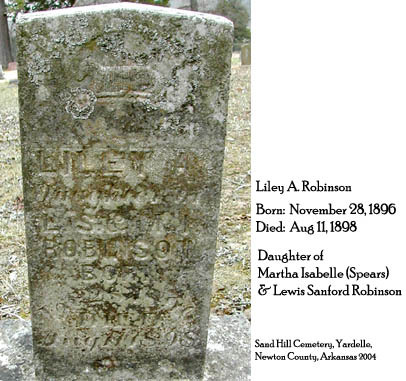 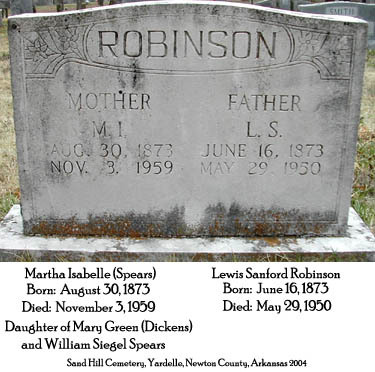 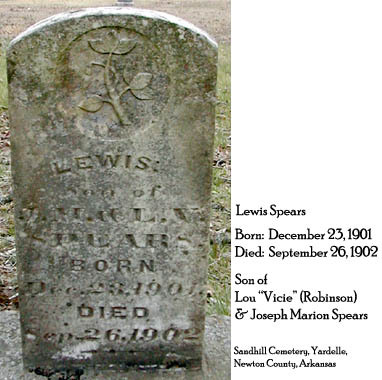 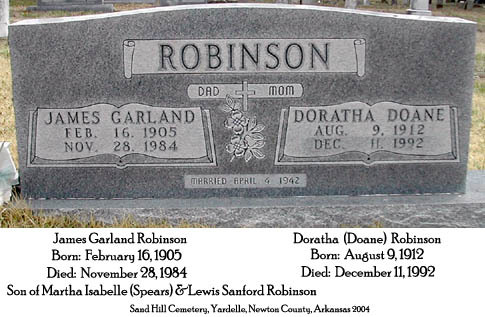 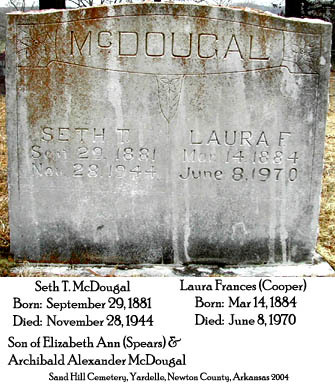 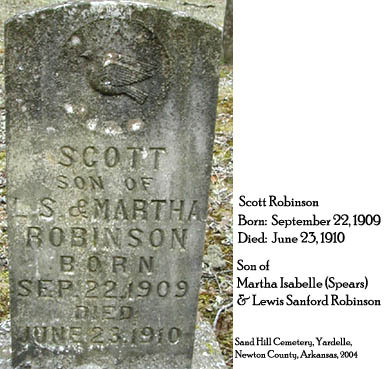 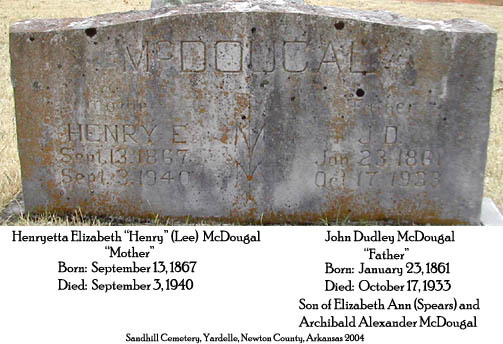 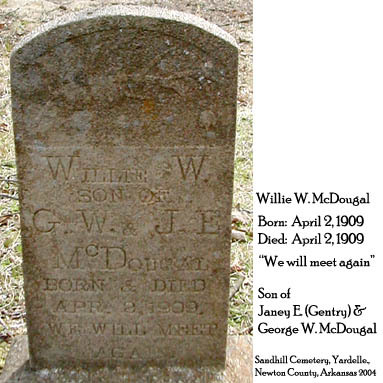 Sandhill Cemetery is located in Yardelle, Newton County, Arkansas. 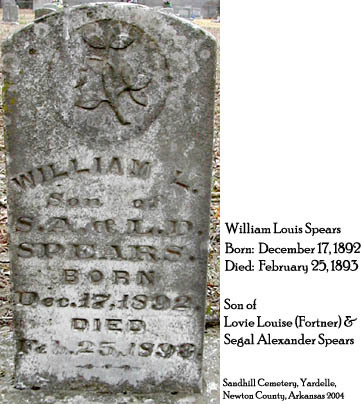 All the cemeteries we have visited are beautiful, but I have to say that I fell in love with Sand Hill. 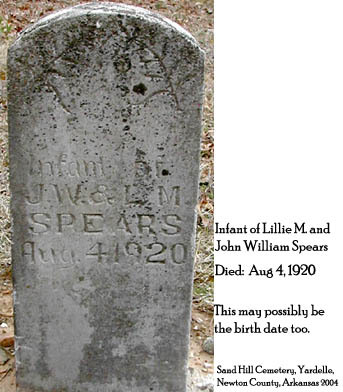 It has beautiful big trees decorating it, and it is very well kept. 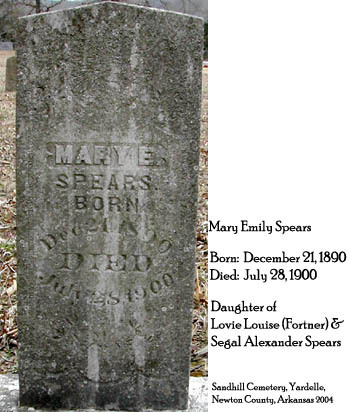 I think everyone buried in this cemetery is a relative to our line of Spears. 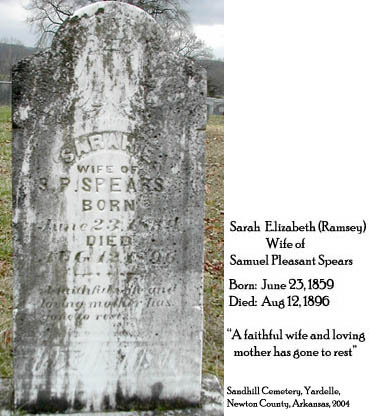 On our latest visit to Sandhill, we found that many of the grave markers have deteriorated since our visit four years before. 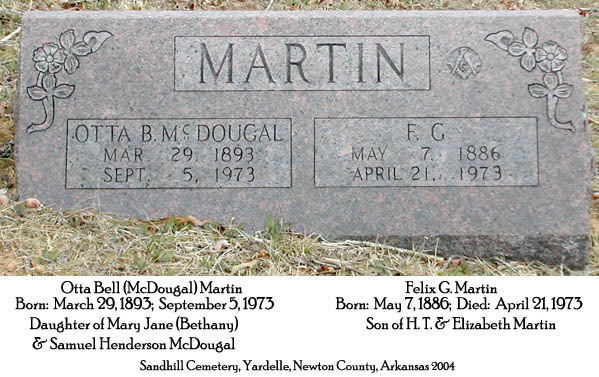 I know that it won't be too many years from now that some of these markers will no longer be legible. 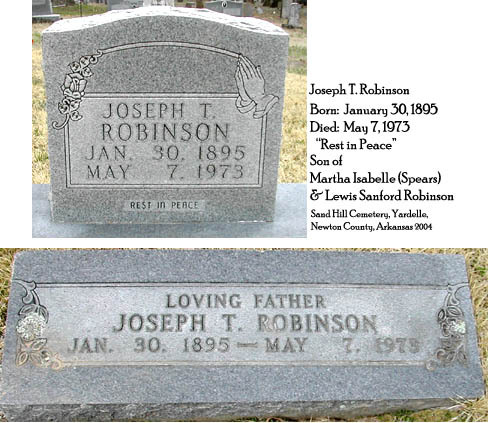 I am thankful to have been able to visit the cemetery and take pictures to share with you. 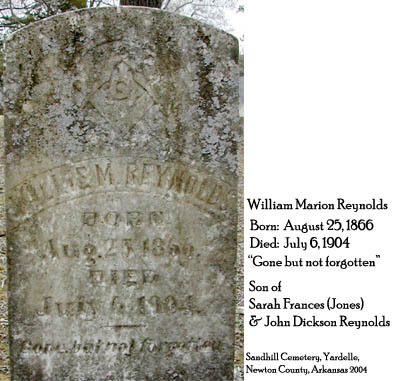 We have ancestors buried in other cemeteries. 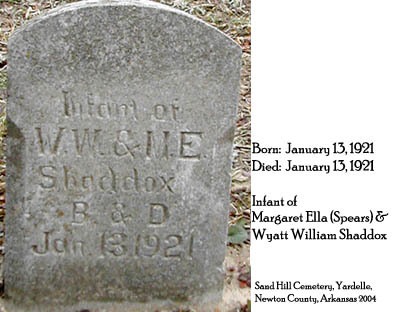 You may also visit the Cemetery Index page to find those. 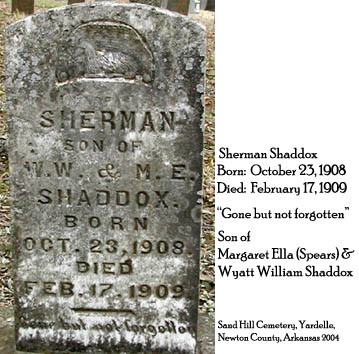 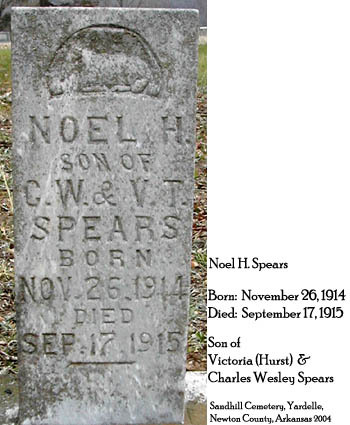 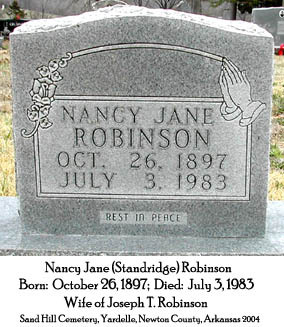 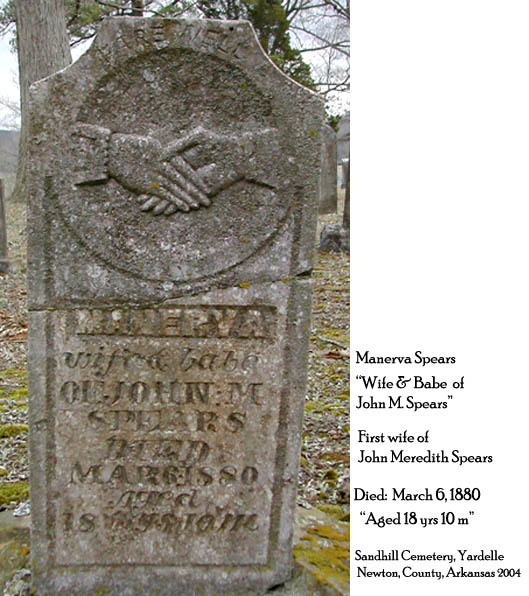 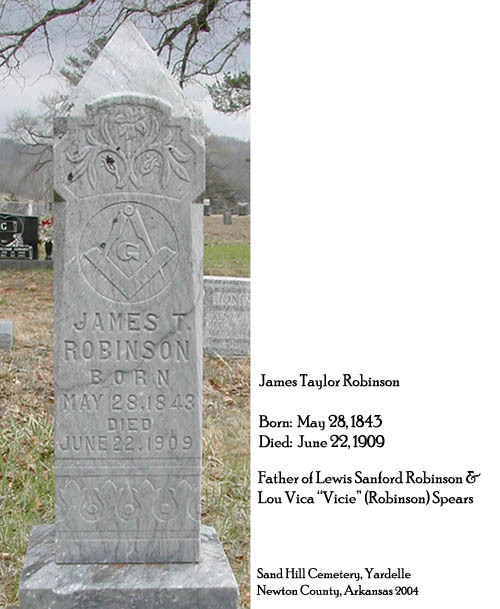 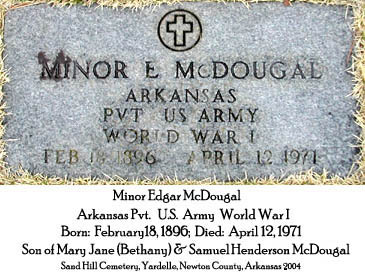 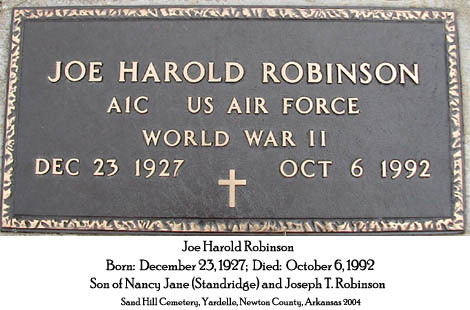 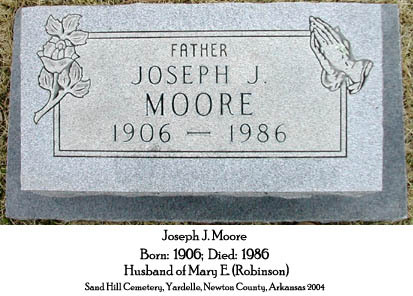 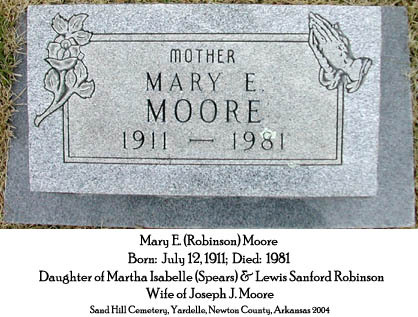 Click on the name to see the grave marker.